We are a unique entity in the industry, actively committed to providing a qualitative range of Custom Diamond Watch. Avail from us a premium quality White Gold Watch that is available in contemporary designs and elegant finish. These are crafted in accordance with the latest trend that suits the desired specification of our clients. Its shimmering looks capture the attention of various clients. Gross Wt. - 31.33 Gms. Diam. Wt. - 2.47 Cts. 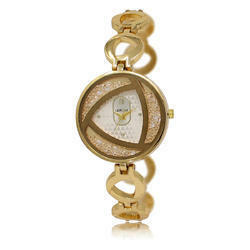 Beautifully Crafted Diamond Studded Ladies Watch. 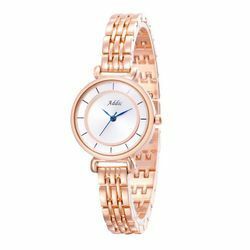 The TATA Sonata gold plated watches are popular with specially the Indian middle class. The collection starts at Rs. 395 in a leather strap (gold plated case) and Rs.550 with a gold plated metal strap (gold plated case). There are about 40 models in this collection. We offer to our customer wide range of Men White Gold Watch.